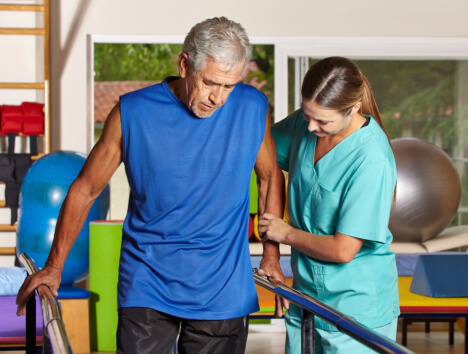 Occupational therapy is a personalized service that can help get your life back on track after a serious injury, operation, a new disability, stroke or even an illness. When you have been left severely weakened, we can help you cope with your physical condition. When you are recovering from a serious event such as a stroke or a medical operation, you may need to relearn certain skills. These skills can be anything such as walking to using your hands effectively again. These skills are critical just to get through the day, and slowly but surely we can provide you with the therapy you need for a better life. This therapy includes different kinds of exercises that can help you improve your strength and your physical condition, so you can go back to living a normal life. When you have recently become disabled it can feel like it is hard to cope with life but with the help of occupational therapy, it is possible to learn how to deal with your new circumstances. Depending on the kind of disability you have sustained, we will personalize our services to make sure that your needs are being met. If you are in a wheelchair, missing a limb, or if you have become paralyzed, we can help you learn with skills that can make life easier. A disability should not have to make life more difficult and we are here to provide you with the skills you need to overcome these challenges. Our occupational therapy services can be enjoyed in the comfort of your own home and we are here to help you live life to the fullest. Do not let a health condition, an injury, or a disability hold you back from doing what you love. We are here to provide you with the assistance you need. All you would have to do is visit our website at www.bayouhomecare.com to find out more about our services and how we can serve you.